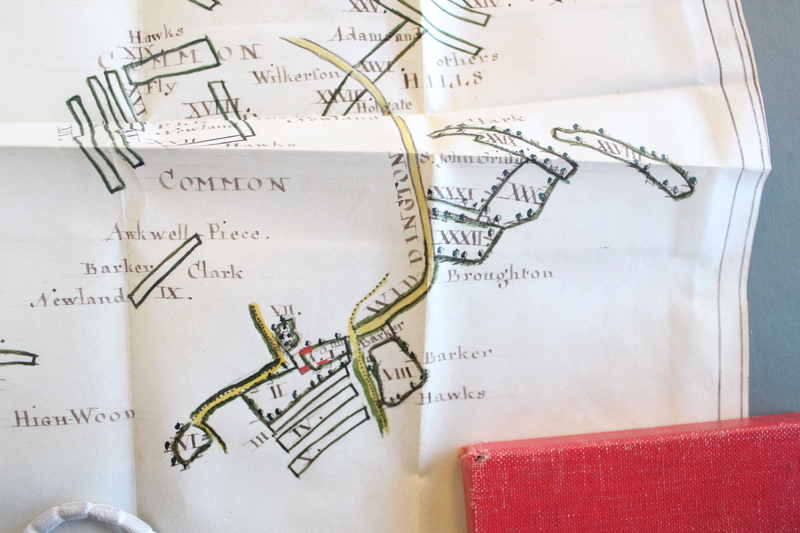 We have recently acquired a little leather-bound book incorporating coloured plans on parchment dating from 1767 of three estates in north west Essex (now catalogued as D/DU 2963/1). 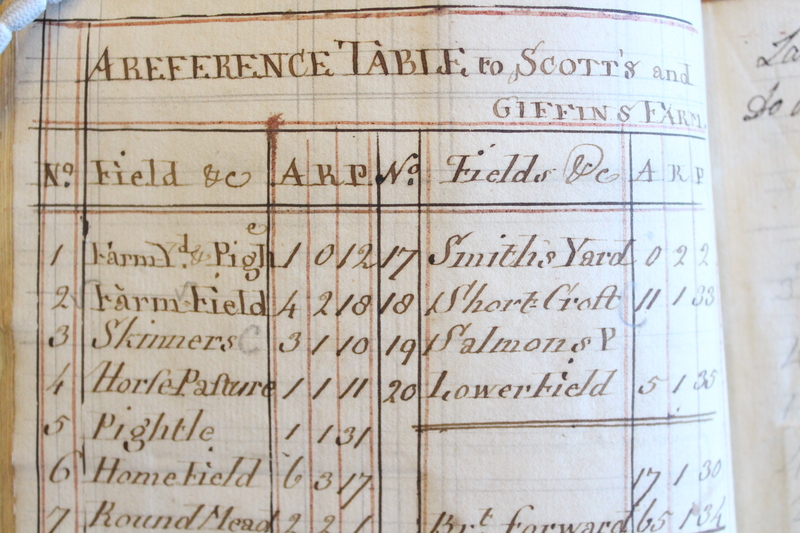 Each plan is accompanied by a reference table on paper listing all the fields and their acreages. The surveys seem to have been commissioned by a Mr Collins and carried out by a Mr Hollingworth. 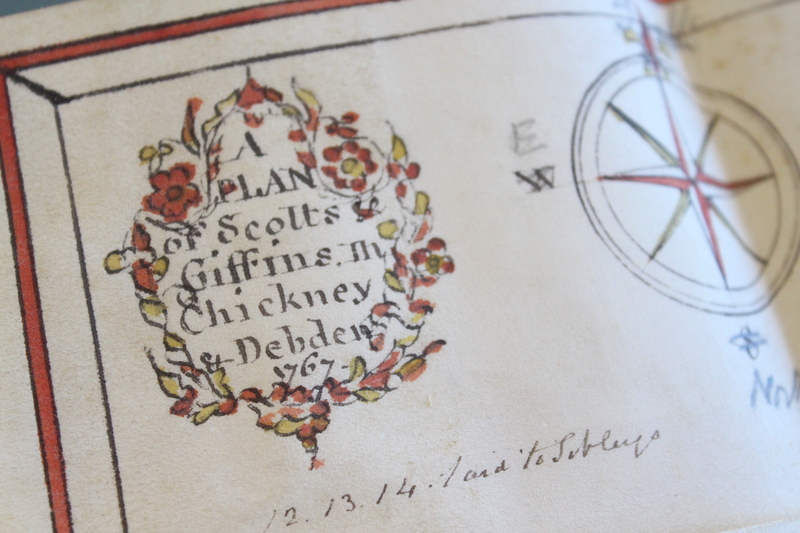 They are of Scot’s Farm in Debden, Bishop’s Farm in Widdington and Sibleys in Chickney. The book is of diminutive size but exquisitely executed and detailed. 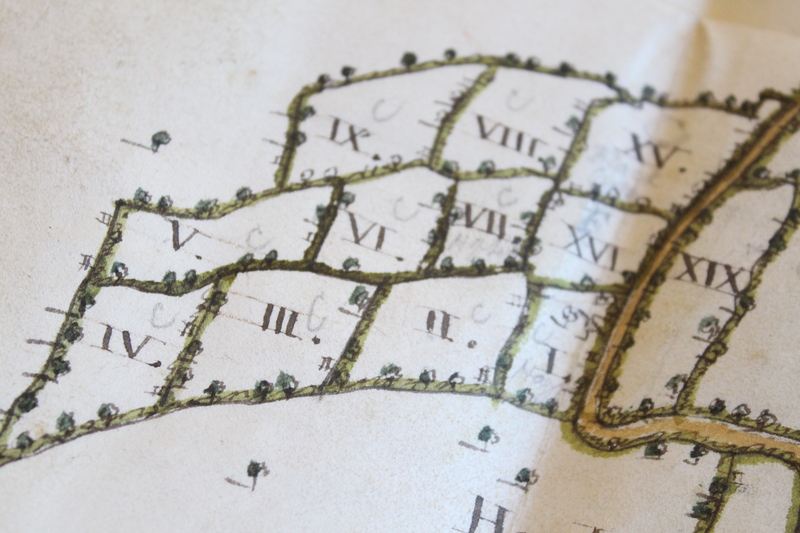 The map of Bishop’s Farm in Widdington struck is in particular, as it shows a farm made up of strips of land. 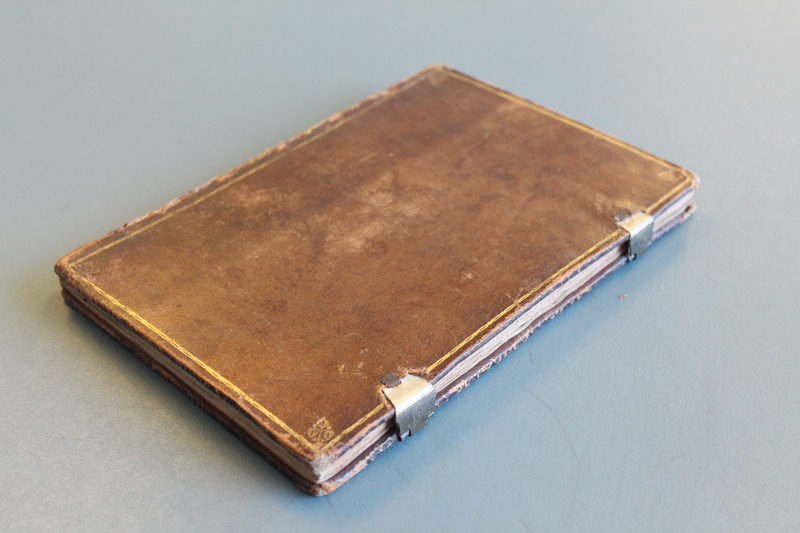 We are very pleased to have acquired this little book for our collection as it can now be made available to researchers for the first time.